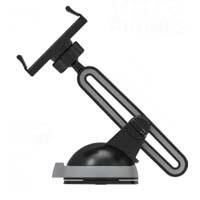 Aduro dashboard phone mount with extendable arm for easy viewing adjustments. Fits all smartphones 3" to 5.5". Secure suction lock, to keep mount secure on vehicle dashboard.